Bahrain is full to the brim with all kinds of restaurants, you can have a very different dining experience every time you go out. But some family restaurants in Bahrain stand out for being so popular that they are just a must try! If you happen to live in Bahrain you probably know all the places in this list. Nonetheless, if you have not tried all of these restaurants, we are here to help you fix that. 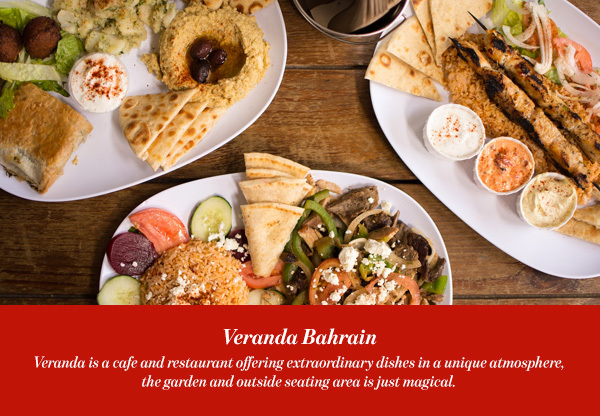 You cannot stay in Manama without trying the delicious food offered. Italian food is always a crowd pleaser. 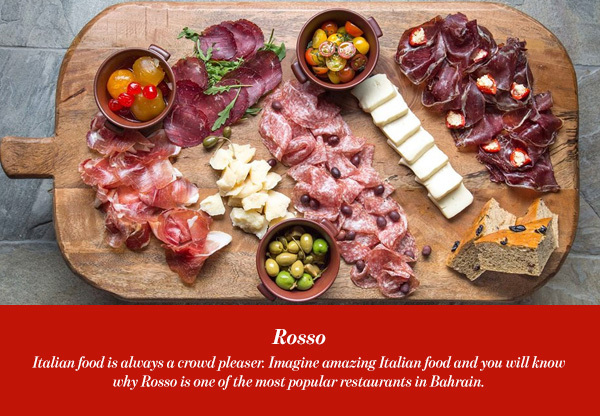 Imagine amazing Italian food and you will know why Rosso is one of the most popular family restaurants in Bahrain. The place itself is very good, a true rustic Italian restaurant. It is bright and airy with large tables to accommodate big family gatherings. The hand stretched pizza, open kitchen and outdoor piazza will take you in a tour to Italy. It also happens to be right next to the dancing fountains, so the venue is guaranteed to make the little ones happy. Everything they make from appetizers to desserts is mouthwatering, so choose whatever strikes your fancy in the menu, there is no wrong choice. 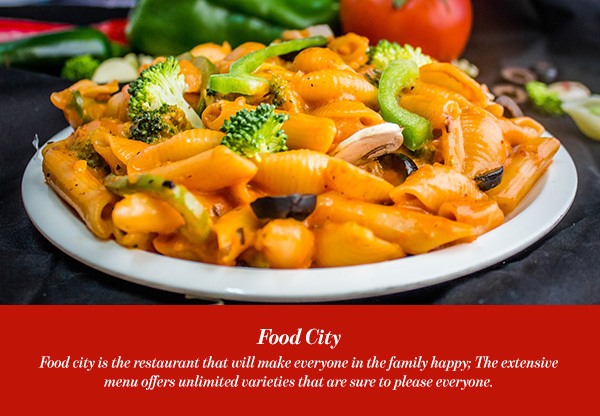 Food city is the restaurant that will make everyone in the family happy; The extensive menu offers unlimited varieties that are sure to please everyone. And every cuisine in this menu is made to perfect authentic standards. The menu is a combination of Arabic, Indian, Chinese, Italian and International dishes. All items are made with excellent ingredients and cooked in a healthy way. The space is very nice, tables are ready to accommodate small or large groups, they even have party halls for private parties such as family parties, group gatherings or even corporate events. Considering the quality of the food and the generous portions, this restaurant offers the best value for money you can get in Manama. The Chicken Won Ton soup comes highly recommended; It is perfectly cooked and seasoned and comes in a generous serving. The best pizza in town, and who does not love pizza? The toothsome food and the perfect atmosphere will definitely make everyone happy. This is why it is one of the most popular family restaurants in Bahrain! But what is guaranteed to make the kids rejoice is that they have a little chefs corner where kids can make their own pizza, how cool is that for the little ones? Plus, kids get a free appetizer, dessert and a drink with any pizza or pasta they order. And do not forget to order a platter of their famous dough balls, they are simply wonderful. 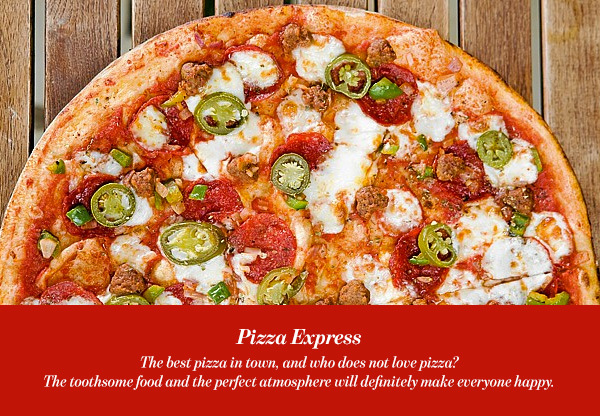 So next time you take your family out, go to Pizza Express, your kids will surely love it. If you live in Bahrain, you definitely know Al Bindaira, or at least know about it. 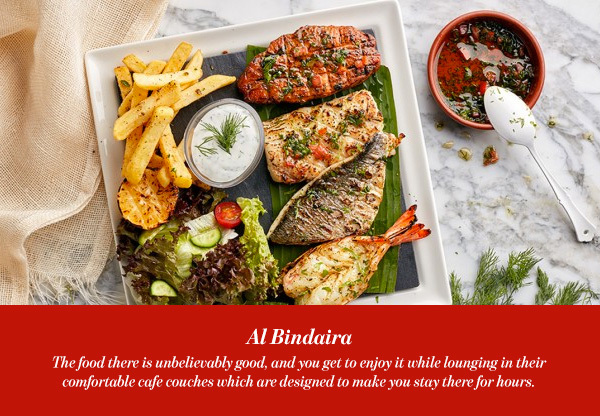 Al Bindaira is where everyone goes, you can hardly find a table in the weekends. But do you know that this cafe actually serves amazing food as well as drinks and desserts? The food there is unbelievably good, and you get to enjoy it while lounging in their comfortable cafe couches which are designed to make you stay there for hours. Try the Tagine, it consists of tender veal slow-cooked in a traditional oven pot and served on a bed of couscous. Veranda is a cafe and restaurant offering extraordinary dishes in a unique atmosphere, the garden and outside seating area is just magical. Veranda was originally planned as a gallery, so you can imagine how beautiful the place and the ambiance are. The artist himself turned the place into a restaurant and cafe when he found that the customers loved the place so much they wanted to linger there. In addition to the amazing dishes, the cafe also has a youth gallery which offers specialty fruit juice bar, a bakery and an ice cream delicatessen. Do not miss Veranda’s Thursday and Friday night barbecue buffets. They are the perfect opportunity to sample a selection of their amazing dishes.